The new Ultralight Asymmetric Curve Nuts have an asymmetric taper for greater stability in flaring placements. They are awesome for pin scars and the straight-sided taper makes it easy to judge placement quality. 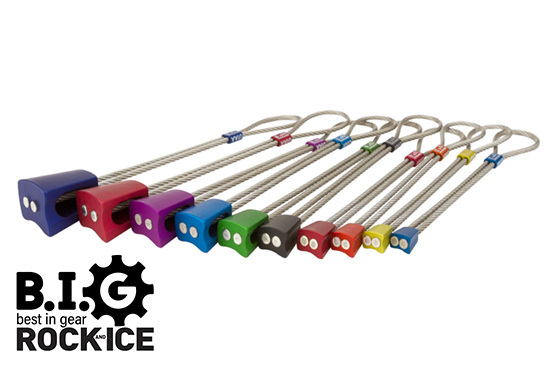 Also, they are 30% lighter than the competition, have anodized heads, and color-coded collars to match our cam colors. They are the perfect passive pro for anyone looking to lighten their trad rack and, in addition our smaller sizes, now have stiffer cables to make placements that much easier. Light Blue 0.71 - 0.89"
Light Purple 0.80 - 1.00"
Dark Blue 1.00 - 1.25"